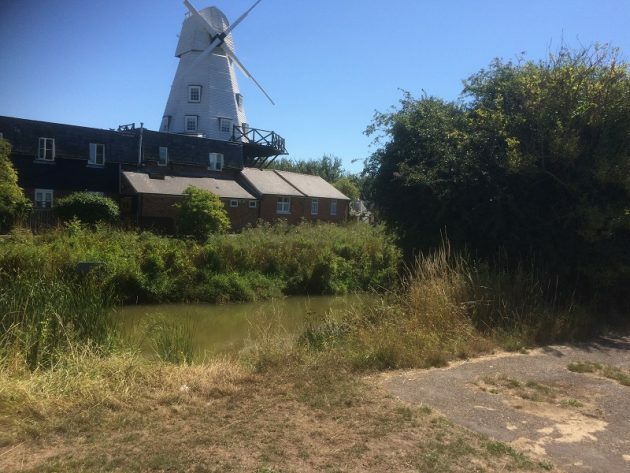 Network Rail has withdrawn its planning application to close the Mill Bridge pedestrian crossings and replace them with a bridge over the river Tillingham and a path under the railway track (as previously covered in Rye News). In light of this Rye News asked Network Rail for an explanation. A Network Rail spokesperson responded: “We are currently working with the community to address some local concerns about the bridge designs. “We want to make sure we find a design solution that works for everyone, passengers and local businesses and residents. A number of Rye residents had raised concerns on the quality of the planning application while others were concerned that the replacement walkway would regularly flood. The pedestrian link between Gibbet Marsh car park and the town centre does need to be upgraded (a recently replaced wooden gate has already ceased working), let’s hope Network Rail take these concerns on board before submitting their revised planning application. Mill Bridge pedestrian crossing. Somebody needs to look at the bigger picture: The idea is to pay for parking in Rye and have Gibbet Marsh car park used. But to get from the Gibbet Marsh car park, into Rye you need to cross the railway. Therefore the crossing is of vital importance, because the alternative is a long walk; something motorists don’t like doing! Why not place a set of traffic style lights at the crossing, at least this should make the crossing safer for most people. Unfortunately there will always be somebody that will ignore everything you put in place for their safety, but then you cannot win them all!